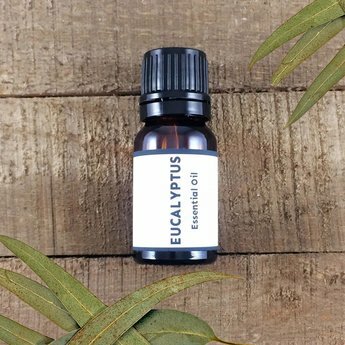 Our organic Eucalypus radiata essential oil is a colorless to pale yellow liquid displaying a soft, sweet, penetrating, camphoraceous bouquet with a minty/woody undertone. This cooling oil is best known to open up sinuses and nasal passages when congested. Its energizing properties can improve mental clarity and alertness. Add to a carrier oil and apply to chest to relieve congestion (great to add with peppermint). Add to a massage oil to relive muscle aches (great with peppermint and lavender). Add a couple of drops to a facial steam bath to clear sinuses (great with peppermint or black spruce). Can be used in a steam room or sauna. Atlas Cedar, frankincense, lavender, lemon, peppermint, pine, ravensara and rosemary. Fun facts: the essential oil is said to repel mosquitos for about 30 min (citronella, peppermint, rosemary and lemongrass are great additions). Koala bears feed exclusively on the leaves of the tree. Cautions: Eucalyptus radiata oil is gentler that the globulus therefor it is known to be non-toxic, non-irritant, and non-sensitizing. People with high blood pressure and epilepsy should avoid eucalyptus oil. Excessive use of this oil may cause headaches.